Analytics and data visualization reveal potential insider threats. As Tax Week arrives, tax agencies may be overlooking fraud happening under their noses – fraud perpetrated by insider threats. While the agencies are focused on the hot fraud topics of the day – identity verification quizzing, protecting PIN files, and cybersecurity – insider threats pose a particularly insidious risk. According to the CERT Division of the Carnegie Mellon Software Engineering Institute (SEI), insider threat is “the potential for an individual who has or had authorized access to an organization's assets to use their access, either maliciously or unintentionally, to act in a way that could negatively affect the organization.” If these opportunistic employees work for you, and they get caught, you will be held responsible for not having insight into their activities. While they may wind up in jail, you could wind up losing your career. “But I have great employees”, you say. “They would never do that.” As it turns out, many insiders who steal or modify information are recruited by outsiders, including organized crime and foreign organizations. Even employees who have shown 20-years of unblemished, loyal performance can unfortunately fall prey to these outsiders at a time of financial strain or personal difficulty. Additionally, with increased use of private sector business partners, your organization is no longer your own. There has been an increased number of insider crimes committed by employees of trusted business partners (e.g. contractors, temp-workers) who have been given authorized access to their clients’ networks, systems and data. Insiders have a significant advantage over external attackers. Insiders are aware of their organization’s policies, procedures, and technology: they are often also aware of their vulnerabilities, such as loosely enforced policies and procedures or exploitable technical flaws in networks or systems. To add salt to the wound, organizations tend to manage their responses to insider threats “in-house”. This may have the unintended result of hiding the insider threat problem at large. When the Washington, D.C. government suffered at the hands of an unethical employee several years ago, it went public (to the benefit of their peers who could extract the lessons learned) but many do not. 47% of survey participants reported that an insider incident was committed against their organization. The most common insider incidents were customer records compromised or stolen, confidential records (trade secrets or intellectual property) compromised or stolen, and private or sensitive information unintentionally exposed. As someone in a leadership role in a tax agency, doing nothing can be a risky proposition (both operationally and politically). So, what can you do? The first thing you can do is familiarize yourself with the “insider threat industry”. There are many resources including Carnegie Mellon’s CERT Division and industry white papers . Additionally, learn about the most modern insider-threat detection solutions, such as SAS Visual Investigator for Insider Threat, which find the threats for you while you’re busy working. All of this can be done using data you already have, but might not be exploiting it to the benefit of your organization– and the benefit of your taxpayers who consider THEIR protection to be YOUR job. 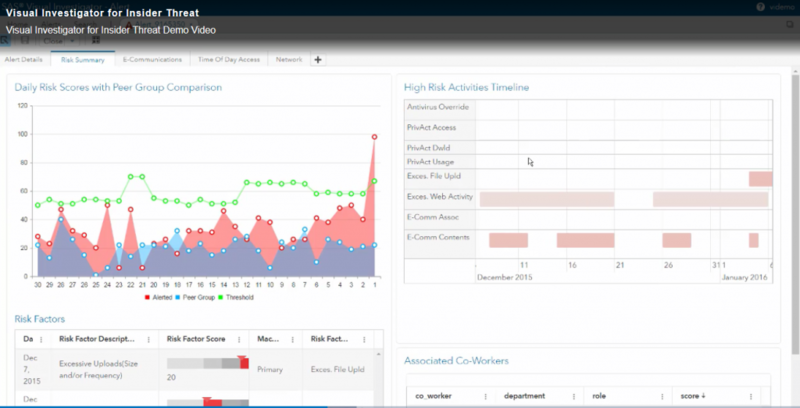 A short demonstration of SAS Visual Investigator for Insider Threat can be accessed here. 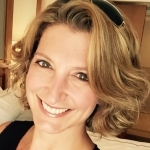 Deborah Pianko has 20 years of experience building technology solutions for tax and revenue agencies. She is a subject matter expert in tax administration including collections, audit, return and payment processing, customer service, revenue protection and fraud detection. As a systems engineer, Deborah helped to build the systems used by many tax agencies including DC, Tennessee, Arizona, Maryland, Ohio, Nevada, Puerto Rico, Detroit, Australia and others. Deborah holds a dual Bachelor of Science degree in Economics and Journalism and is a rower and volunteer EMT in her spare time.